to manage your business from home or your phone. 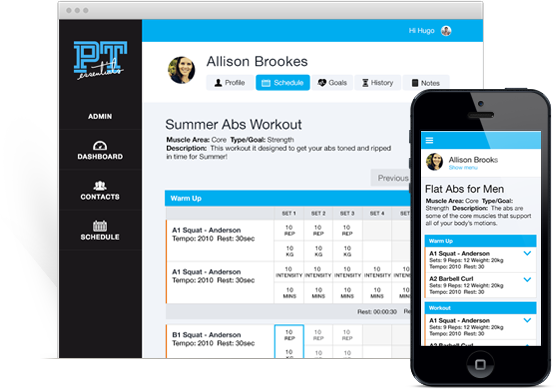 Create your own library of workouts to send to your clients to complete with you or on their own time. View an overview of each of your clients, to help keep track. Generate PDF report cards to send to your clients via email comapring their progress and goals. Stay up to date with our new feature releases!